By definition, it contains less carbon than other steels, though it still has up to 0.30% of carbon. 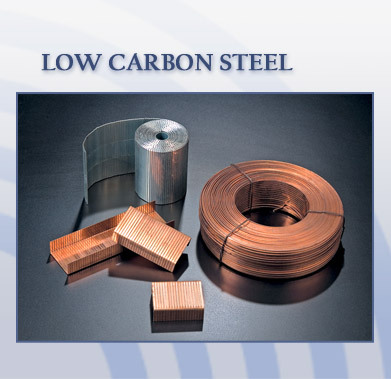 Low carbon steel is inherently easier to cold-form due to their soft and ductile nature. When strength is not a major concern, low carbon steel is good choices because it is easy to handle (draw, bend, punch, swage, etc.) and fairly inexpensive. Surface hardness can be improved through carburizing which involves heating the alloys in a carbon-rich atmosphere. Low carbon steel that usually carburized is AISI 1006-1020. Applications Sporting face mask, Forging, hardware items, screws, nuts, bolts, rivets, baskets, anchor bolts, meshed-related products, etc.